M&T Bank has provided $22.4 million in equipment lease financing for Cianbro Corporation to complete the construction and commissioning of the largest solar producing energy facility in Maine, and within the jurisdiction of ISO New England. 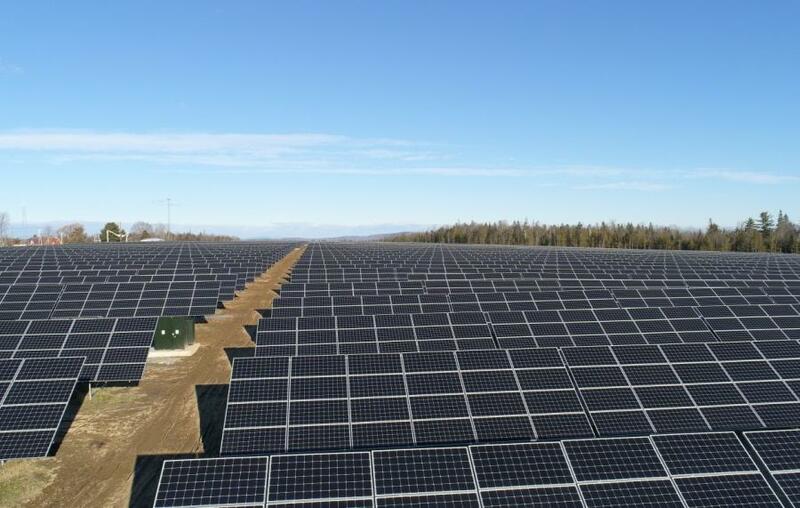 The Pittsfield (Maine) Solar Project consists of 40,300 solar panels erected on 57 acres of a 115-acre parcel owned by Cianbro off Route 2 in Pittsfield, Maine. The solar panels absorb the sun's energy and convert it into Direct Current (DC) electricity. The energy is inverted to Alternating Current (AC) and sent to the ISO New England grid where the electricity is sold under a 20-year contract with Central Maine Power Company. The Pittsfield Solar Project is now the largest operating within the New England ISO. M&T Bank began leasing renewable energy equipment in 2014 and provided about $180 million of financing, of which about $100 million went to 42 solar projects. The Pittsfield, Maine, project is the largest solar energy project the bank has financed. “Our success as a bank depends on helping our customers with the right financing solutions needed to fit their specific projects. Equipment leasing is a financing option in the renewable energy sector that works for both the bank and our clients, and it has a positive impact in our communities by expanding the supply of clean, renewable energy,” said Jennifer Noah, vice president and renewable energy specialist of M&T Bank. The Pittsfield Solar Project has the capacity to send up to 9.9 megawatts of AC electricity to the grid every hour during ideal conditions, enough to supply 6,500 homes at peak generation. Ruksznis also points out that the facility contributes to the Pittsfield tax base and helped the local economy in 2017 with more than 100 construction workers that built the solar array. For more information, visit mtb.com.